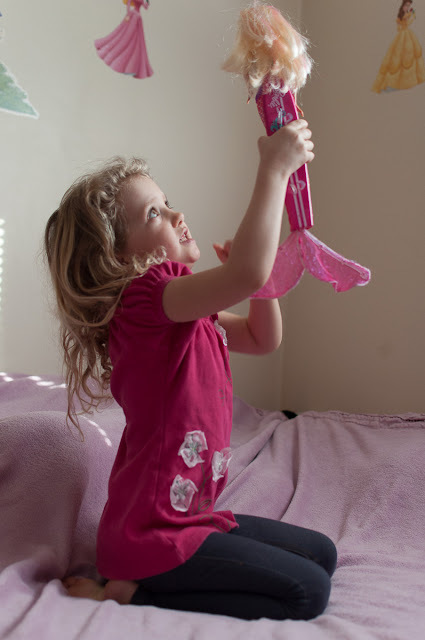 I am sure no one who has ever been to my blog before will be surprised to hear that my ultra girlie-girl daughter Olivia LOVES Barbie. 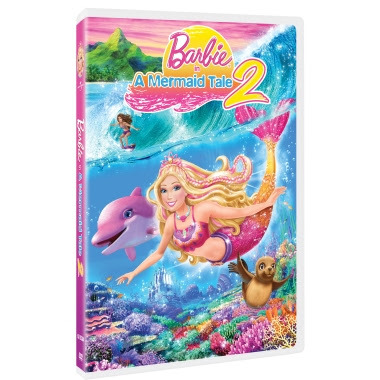 So I'm sure you won't be shocked to hear that she was more than a little excited when a package containing Barbie in A Mermaid Tale 2 on DVD and the Barbie from A Mermaid Tale 2 Doll arrived on our doorstep! 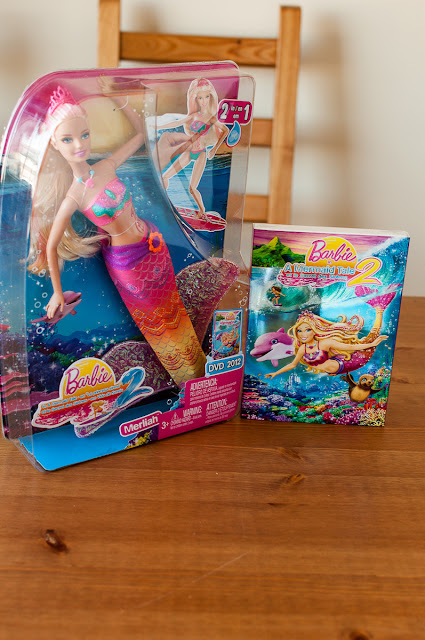 The doll is actually pretty cool- she can be played with either as a mermaid princess or as a surfer Barbie. 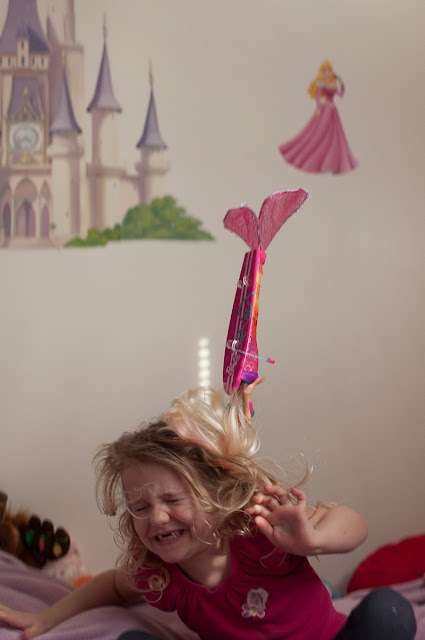 Her surfboard converts into her mermaid tale. It is kind of hard to explain but my daughter can make it work with no problem and she is only 5 so trust me when I say it is very kid friendly! 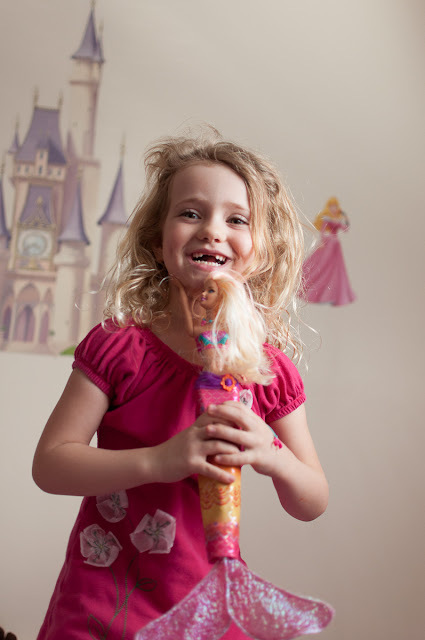 Olivia is a big fan of the Barbie movies in general and this one was no exception. The funny thing was when we put A Mermaid Tale 2 in to watch both of my boys (ages 8 & 9) sat down and watched the entire thing too! Don't tell anyone though because I'm pretty sure they'd be mad at me for telling you :). But the fact is the movie held their attention whether they would publicly admit it or not! Olivia loved the movie of course and we've watched it about a dozen times since it arrived. 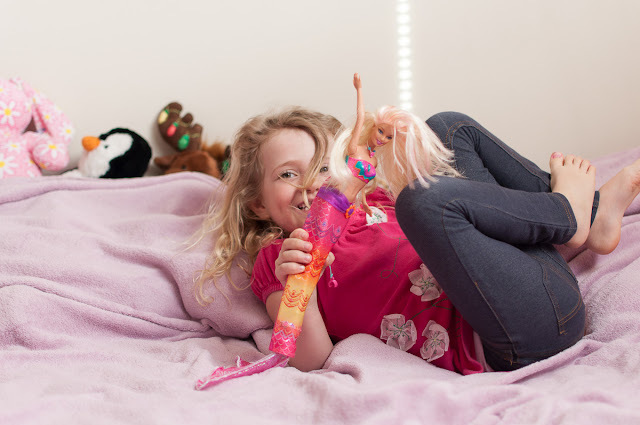 She will obviously play with her Merliah Barbie in the bath tub (she IS a surfer/mermaid after all) but she certainly doesn't reserve her for the water only. She also plays with her while watching the movie which is really cute to watch.